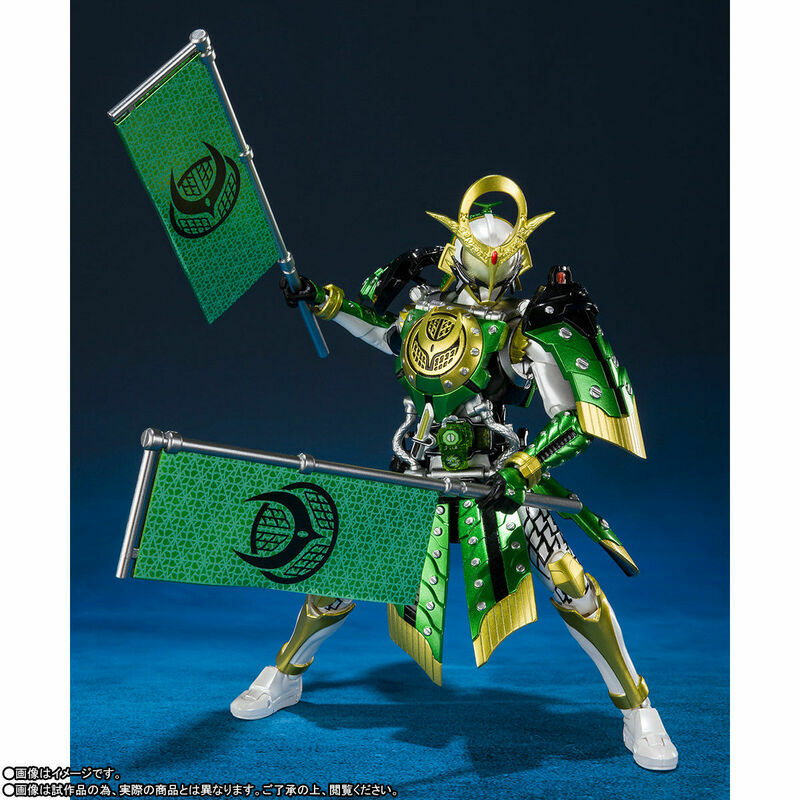 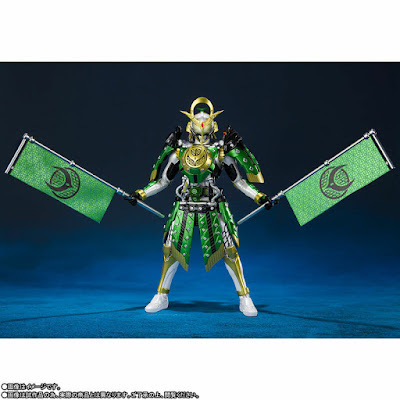 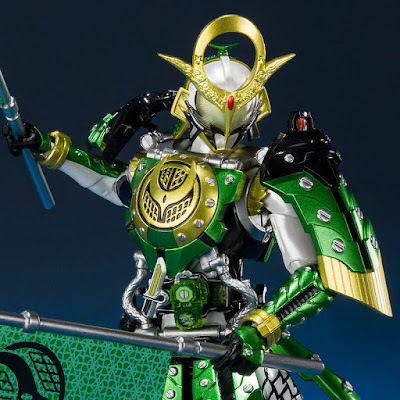 The official Bandai Tamashii Nations website has posted the official images for the S.H. 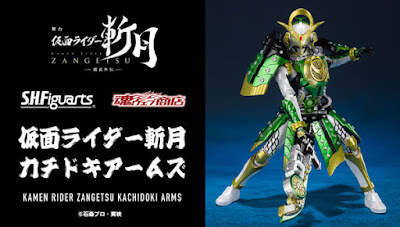 FiguArts Kamen Rider Zangetsu Kachidoki Arms figure. 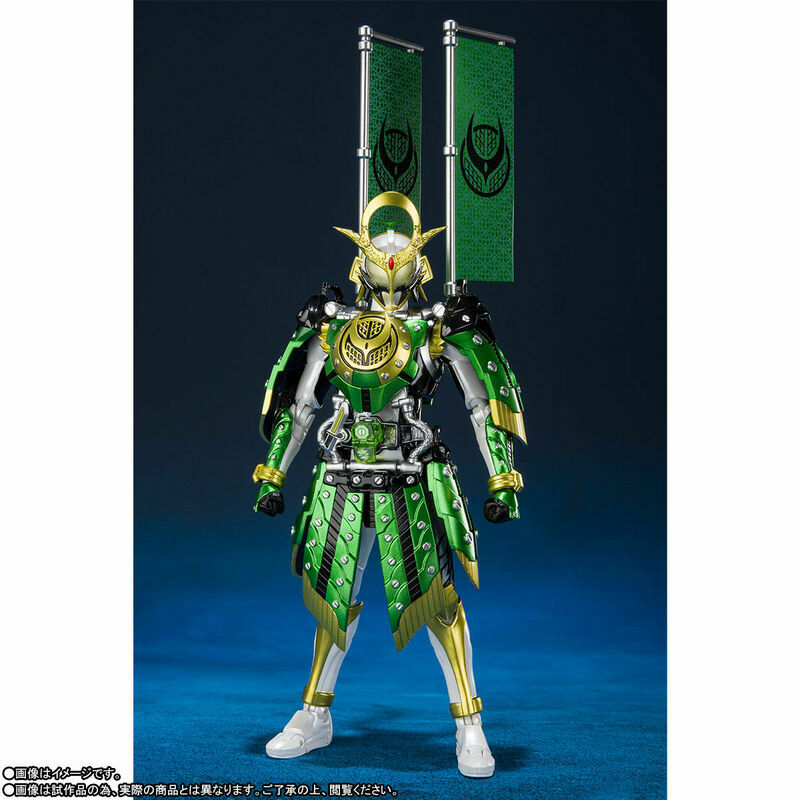 This 150mm figure that represents Zangetsu's new super form from the Kamen Rider Zangetsu spin-off stage play will consist of replacement wrist, a Kachidoki Lock Seed, a DJ Gun, and a pair banners. 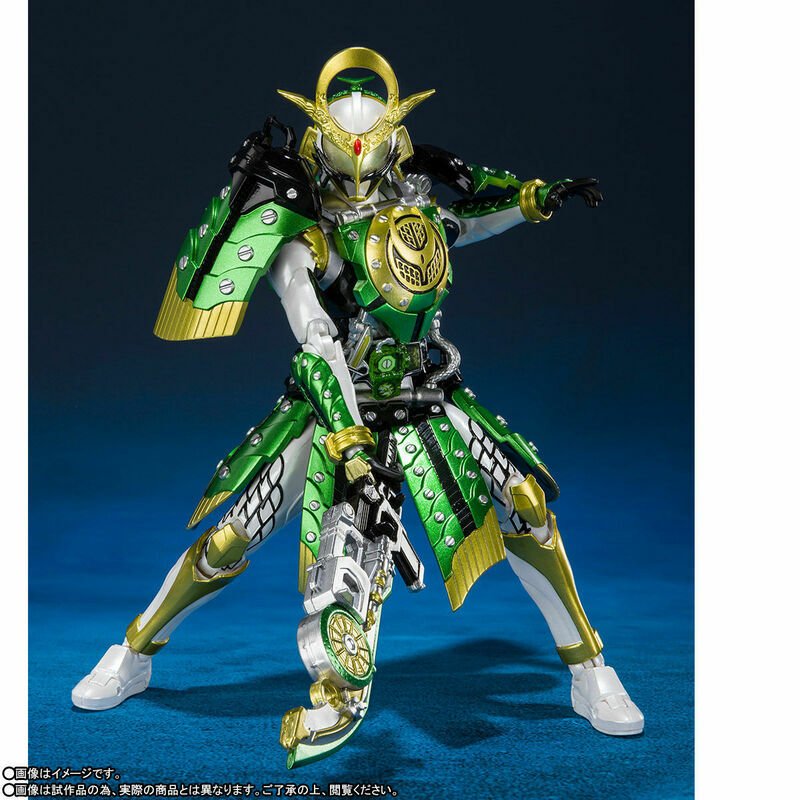 This Premium Bandai exclusive figure will cost 6,480 yen and will be released this December.